For the second time in 12 months, a Dane County Circuit Court judge has overturned Public Service Commission (PSC) rulings that restrict net metering, a key policy that drives customer investments in renewable energy. The Judge’s order remands two decisions back to the PSC for “further fact-finding and to establish a sufficient record,” but does not immediately change the net metering program. The lawsuit, advanced by RENEW Wisconsin, a nonprofit renewable energy advocacy organization based in Madison, challenged two PSC approvals rendered in Wisconsin Public Service Corporation’s 2013 rate case. These decisions paved the way for Wisconsin Public Service (WPS) to reduce payments for clean electricity generated by their customers. 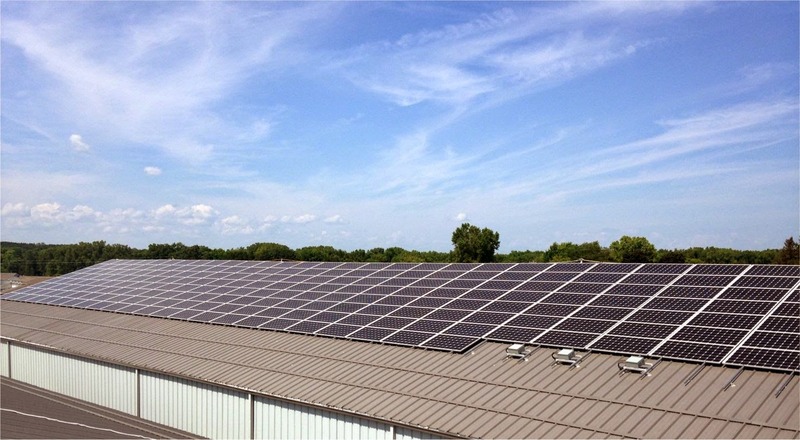 The first decision allowed WPS to greatly reduce the size of the renewable energy system qualifying for net metering, from 100 kilowatts to 20 kilowatts. This change restricts many businesses, schools, and other medium-sized electricity users from participating in the program. The second decision granted the Green Bay-based utility’s proposal keep their netting period at 30 days, which forces customer-generators to reduce the size of their solar systems to avoid being paid 3 cents per kilowatt-hour for the electricity they export to the grid. As of 2013, WPS’ peer utilities in Wisconsin used annual netting, allowing customers to bank and utilize credits throughout a 12-month period. In its brief, RENEW argued that WPS failed to offer any substantial evidence in support of its requests to alter its net metering structure for the purpose of reducing compensation to customers with solar and other renewable energy systems. After reviewing the rate case record, Judge Rhonda Lanford agreed with RENEW’s arguments, noting that the “record produced is devoid of substantial evidence” and insufficient to support an agency finding of fact. In June 2014, the same judge struck down a 2012 PSC decision allowing Milwaukee-based We Energies to limit the availability of its net metering service to solar customers, citing a lack of evidence in the hearing record. RENEW Wisconsin and The Alliance for Solar Choice, a national solar advocacy group, recently filed suit in the same Circuit Court against the PSC in the 2014 We Energies rate case. In that case, We Energies was granted approval to overhaul their net metering programs to charge an extra monthly fee to residential and small business customers that generate some or all of their own power, and switch to monthly netting. RENEW and TASC’s arguments are consistent with this case: the utility and PSC have not provided or relied upon sufficient evidence or analysis to justify the decision.